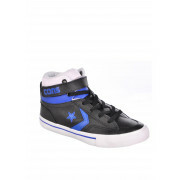 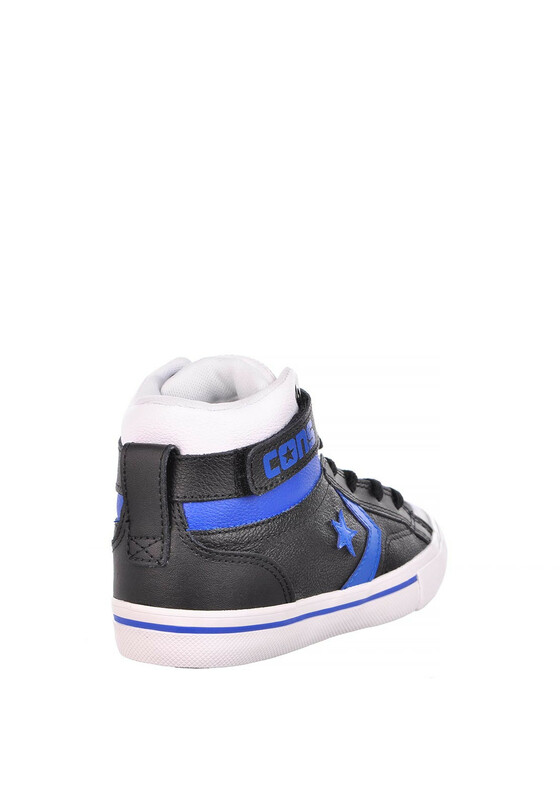 A funky pair of hi top trainers from Converse in black. 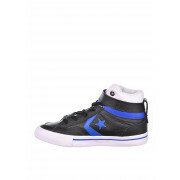 This trendy pair are made from leather with bright blue detail on sides, ankle and tongue. 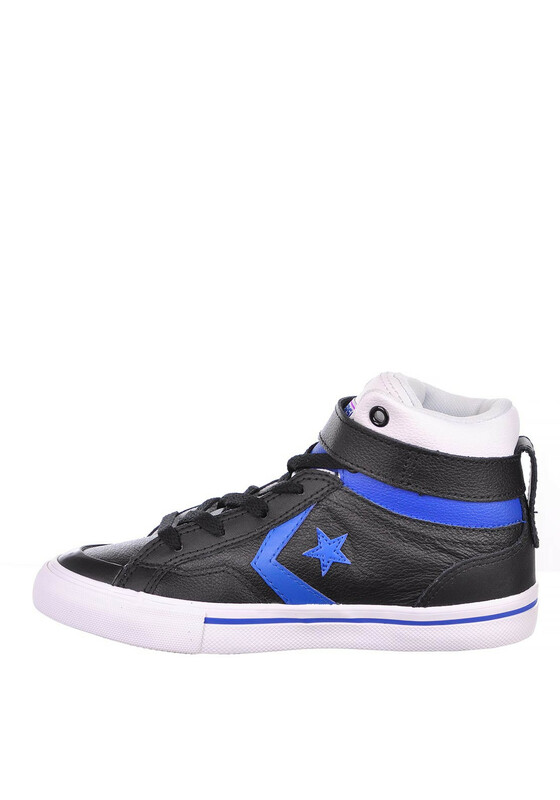 The trainer cuff, tongue tip and sole are white and the converse tag appears on the tongue and Velcro ankle strap. 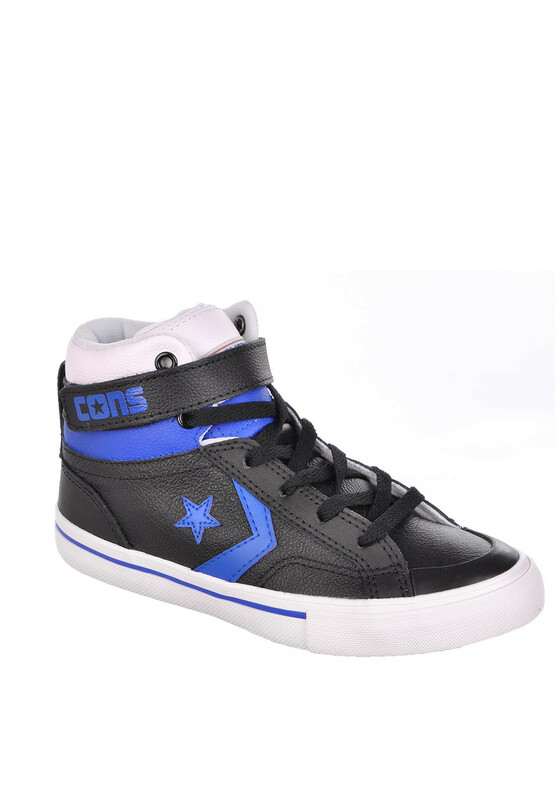 A comfortable and stylish pair that are so dressy and cool.